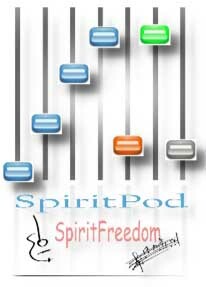 Welcome to SpiritFreedoms Music. Here we will display some of our creations, from Podcasts to Soundscapes to help you relax. There will also be a series of hypnosis sessions coming in future weeks, listen to them here, with a chance to buy them from the store in the coming months. Im just rubbish at naming my songs, so you will have to excuse the title of this one, although it does suit it. Just something i did today. I wanted to experiment with the guitar on the keyboard, I can play the guitar so wanted to see if i could recreate that using the keyboard. So what is stormy nights soundscape. Well these soundscapes i create myself. What they are, are total immersion into another world, and so bring out the feelings that you would get if you were experiencing them in reality. Stormy nights is my attempt to create that warm relaxed and cosy feeling you get when you are sat in front of an open fire,the clock is ticking on the mantle as the rain lashes against the window pane, the distant rumble of thunder outside. You are warm and cosy, and safe. for best effect, listen to these soundscapes with headphones, but its fine to listen to them without. Here we have a soundscape that i call country church. Imagine its a warm summers days, you are sat near a babbling brook, the birds are singing, you can hear a woodpecker drumming into a distant tree. In the distance you can hear the bells of a country church ringing telling its flock that its time for the service. Welcome to show no2, this one is a bit different to the first one, and is themed on the music i like to listen to, so mostly rock music in this one, with a bit of humour thrown in. Anyway, hope you enjoy it.